The fourth and final installment of Hollywood Gothique's 2010 Halloween Haunt Odyssey traverses Torrance, where we visit Revenge of the Ninja and the Haunted Shack. Our first stop on this leg of our journey was a bit of an anomaly. The Revenge of the Ninja haunt is not a yard haunt; it is a community Halloween event put on by the Way of the Shadow Martial Arts Academy at 18727 Crenshaw Boulevard. This is situated on a side street that runs parallel to a major boulevard (also named Crenshaw), separated only by a thin strip of concrete. The mini-version of Crenshaw Boulevard is blocked to automobile traffic during the event, creating a wonderful block party atmosphere, with costumed kids and parents wandering down the street, where they can play games like pumpkin bowling and ring toss, grab food from a snack shack, and compete for prizes and drawings. The walk-through maze consists of a labyrinth of corridors inside the martial arts academy. The sets are mostly simple walls, but there are appropriately Asian touches like gongs and bamboo, and the ninja theme adds its own special flavor, unlike any other haunt in Los Angeles. The back story is that every October 31 the martial arts academy is haunted by spirits of Ninja slaughtered in a sneak attack, who rise from the dead to take revenge against unworthy trespassers. Thus the corridors are filled with black-clad masked assassins popping out from every corner. There is also some effectively frightening gore, including one unfortunate victim who appears to have a leg sawed off on a table. 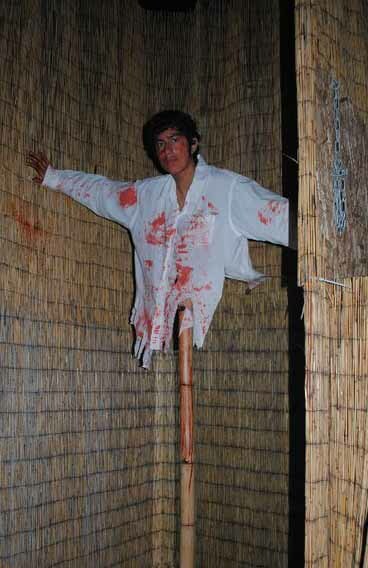 Even more amazing is scene of a live actor, vomiting blood, who appears to be a torso impaled on a bamboo pole - a truly great shock effect. And, finally, the last stop in our 2010 Halloween Haunt Odyssey is The Haunted Shack, housed in a sleepy little Torrance neighborhood, at 5112 Maricopa Street. 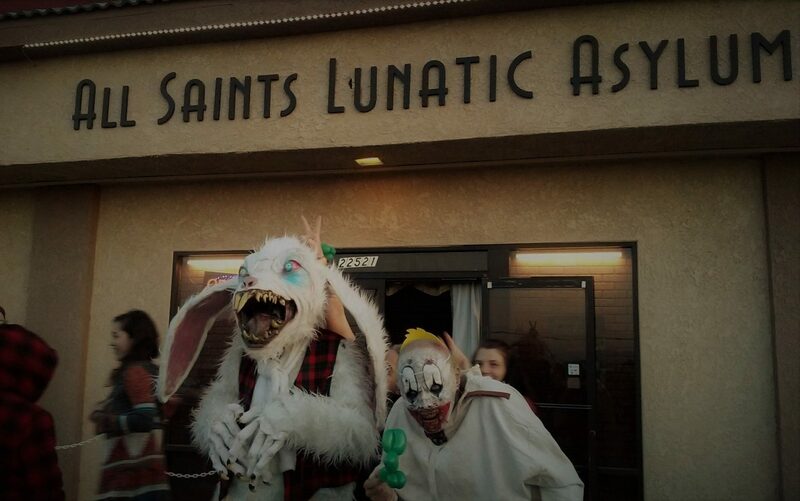 This home haunt has been around since 1997, growing into a 1500-square-foot walk-through maze featuring some amazing tricks and illusions. 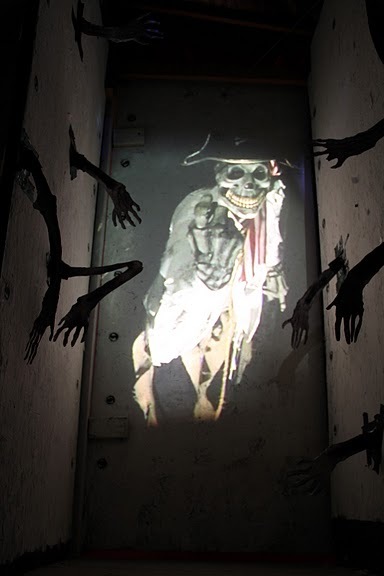 The corridors are loaded with skeletal ghouls, eager to deliver scares, but what stands out in memory is the unexpected twists, turns, and surprises, beginning with a “solid” wall that turns out to be a hidden door. There is also a brief detour down a deceitful path that turns out to be a dead end (mirrors create the illusion of possible exits). Unlike many mazes, which sometimes run out of steam at the end, the Haunted Shack offers more than an anti-climactic door at the exit; in fact, you're not sure there is an exit at all, as you find yourself in a slim corridor with protruding arms, and a ghastly skeletal ghost beckoning you from what appears to be a solid wall. 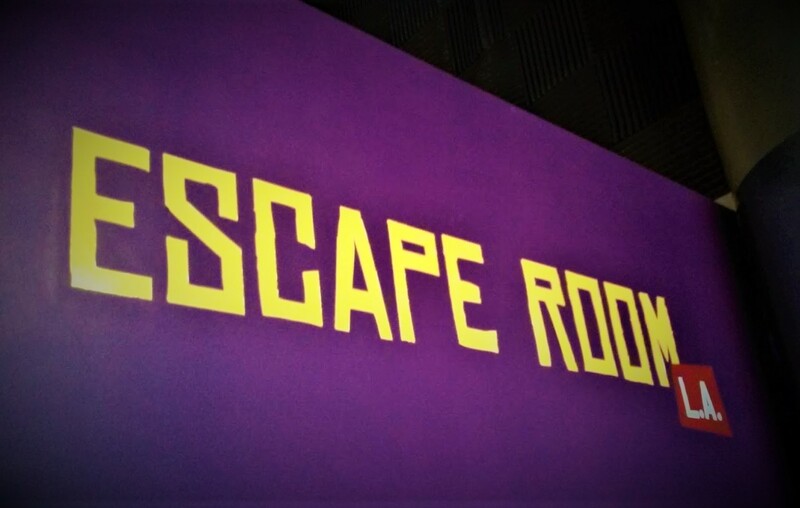 Gather your courage and proceed against your better judgment, facing the ghost head on, and you will find that the wall yields to pressure from your hand, allowing you to escape from the horrors haunting this fine amateur Halloween attraction. Unless circumstances intervene, the Haunted Shack operates on October 30-31 every year, from7-10pm. Admission is free, and there is plenty of parking. If you come on Halloween night, expect at least a short wait in line. Website: www.thehauntedshack.com. And with that, we bid a belated adieu to Halloween 2010. Hollywood Gothique would like to extend its heart-felt appreciation to all the haunts, both amateur and professional, who made this season so wonderfully wicked. Thanks to everyone who wrote in, informing us of events we might otherwise have missed. We also apologize to anyone whose haunt we did not visit; sadly, there are only 31 days in October, far from enough time to see every available attraction, especially when many yard haunts are open only on Halloween night. We try to see something new every year, so perhaps we will make it to yours in 2011. NOTE: Although at this point we have written everything we have to write on this year's Halloween events, we will continue to post videos in the upcoming days and weeks.